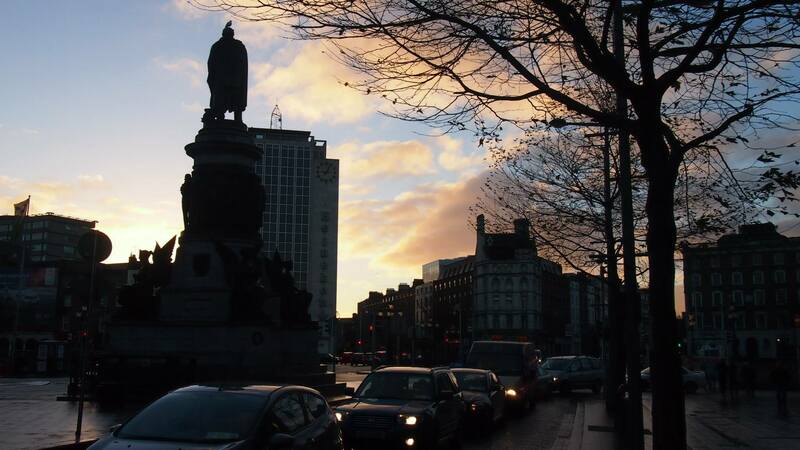 First picture in Dublin -O’Connell Street – off the Airlink and to the coffee! I had the opportunity to visit Europe at Christmas for the holidays, and it was everything I dreamed it would be and more. I’m starting a new series to relive the experiences I had there, especially focusing on the history and culture. Stops included Dublin, Belfast, the Northern Ireland Coast, a brief stop in Wales, and London. I’m starting the blog series where I started the trip… Dublin, Ireland. We (Charles and I, not the royal we)landed on Boxing Day in the wee hours of the morning. After a time stuck on the tarmac, we finally hopped on the Airlink to head to City Center. We got off the bus onto O’Connell Street, a center for Irish history. Our first stop was, embarrassingly, the McDonald’s McCafe for coffee – don’t judge; it was early and the first coffee we saw. We later made up for it with delicious espresso a few streets over. Once we were caffeinated, we stepped outside into the early morning air, freshly cleaned by one of those typical rain showers. O’Connell Street is in itself one of the most historic places in Dublin; it saw the Easter Rising of 1916 and the Irish Civil War in 1922. The General Post Office building still shows the scars of these conflicts where bullets and bombs carved into the stone. To see these buildings, the street, and feel the history that had happened there was truly powerful. 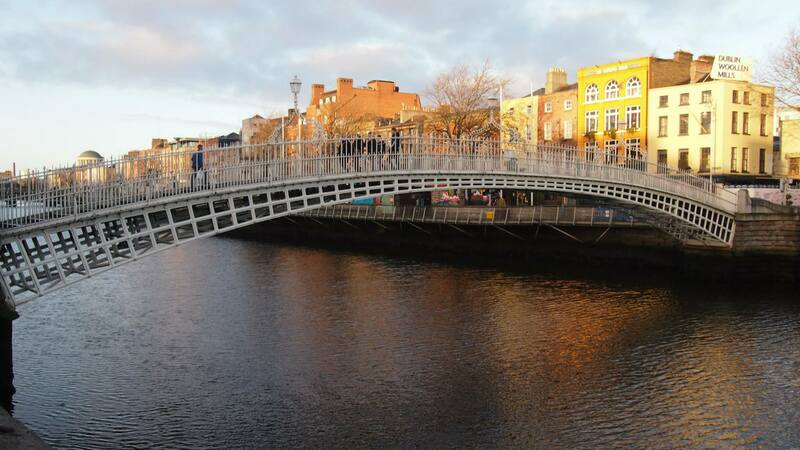 The River Liffey is at the end of O’Connell street, and we crossed the Ha’Penny Bridge in search of more coffee. Across the Liffey, South of O’Connell Street is Temple Bar, Trinity College, and many more historic sites we visited throughout our visit. We walked by Trinity College, found MORE coffee at Starbucks, then headed over to the Docklands to meet our fantastic Air BnB hosts to settle into our flat rental (*sidenote – if you’re ever traveling, check out air bnb – we had the BEST experiences traveling this way, and it made the trip more affordable). 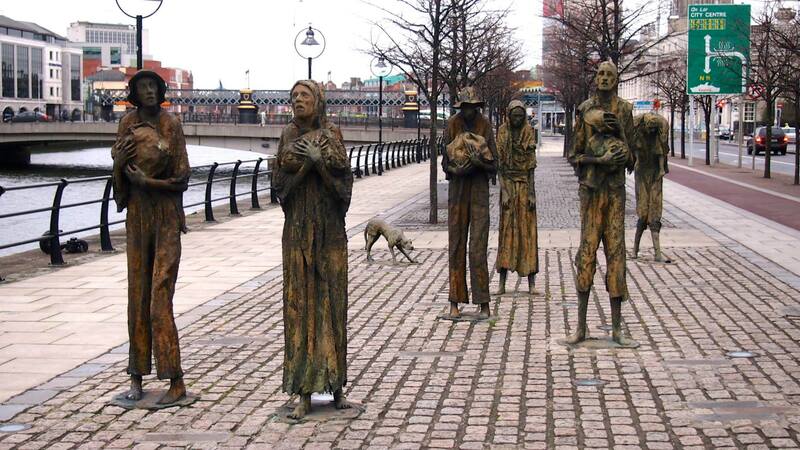 After a rest, we walked along the Liffey to see the Famine Memorial, several docked tall ships, and more sights of Dublin. We went along Grafton Street, which was extremely crowded with the post-Christmas shopping crowd. St. Stephen’s Green was the next stop, where we saw the swans and beautiful gardens.